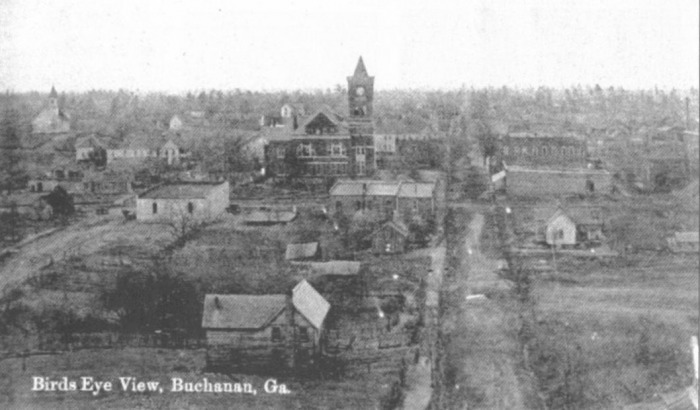 Earliest surviving bird's-eye photograph of Buchanan, viewed from the South. Resistance to support of schools by local taxes in Georgia ebbs; of US adults 25+, 13% are high school grads, 3% are college grads. About 2/3 of US high school matriculants graduate, with women grads outnumbering men about 3 to 2. But among college grads, men outnumber women 3 to 1. Buchanan pop. 462. 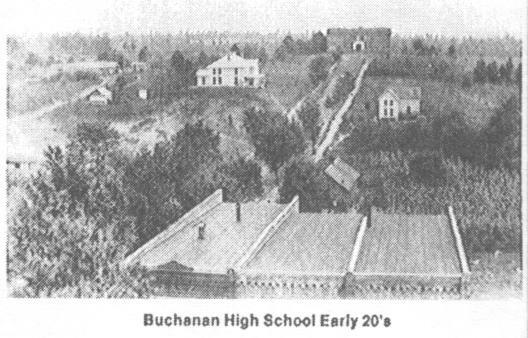 Buchanan is marked on a new map. 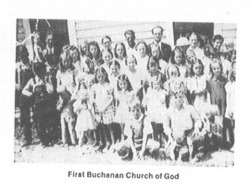 Church of Jesus Christ of Latter Day Saints (LDS), Buchanan branch, is organized. One killed, two mortally injured and 25 others seriously hurt by train wreckers; the southbound Central of Georgia express passenger train, travelling at 40mph, is derailed near the City the morning of the 8th, thrown over an embankment by spikes in rail joints, reports The New York Times. Engineer Samuel Ayers dies, crushed under his engine, while fireman William Solmon and conductor Littleton will die of their injuries. Photograph of original article. 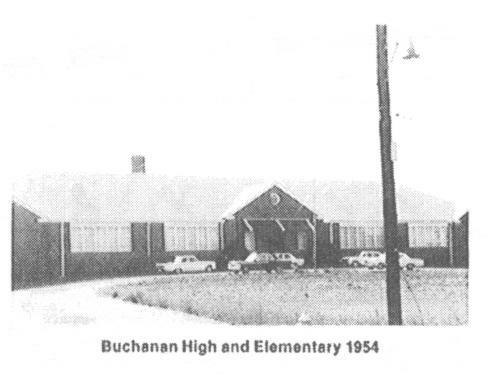 Buchanan will replace its old frame school house with a brick building using $15,000 in bond funding. Bond vote is yes-125 and no-3. 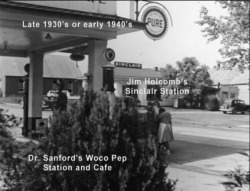 Under the headings $250,000,000 Bubble Charged in Arrest; Post Office Inspectors Take Texan in This City in Cotton-Selling Scheme; Was Indicted In Atlanta; Charge Says Philip C. Wadsworh Promised That Planters Would Get 15 Cents a Pound; Co-operative Idea Used; Southrons Told Manipulators Were Robbing Them Of $120,000,000 a Year Beacuse They Failed to Unite this month The New York Times reported that it was charged that the representations made by Wadsworth, who managed, operated and controlled the society, in letters mailed at Atlanta, were false and made with the intention of defrauding investors including W. J. Speights and J. H. Mizie, both of Buchanan, GA. 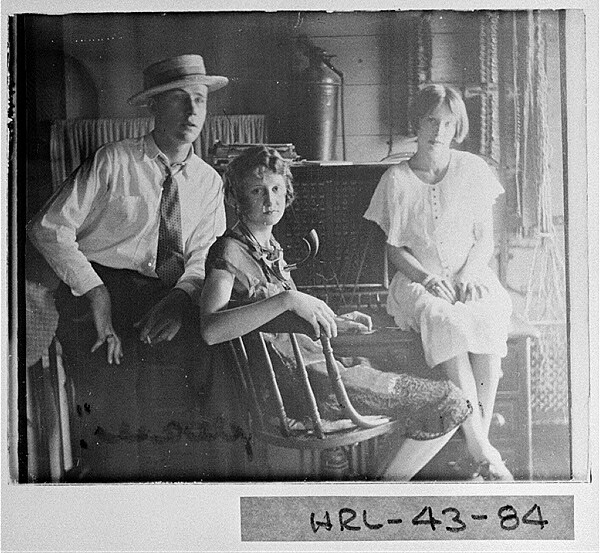 Photograph of original article. 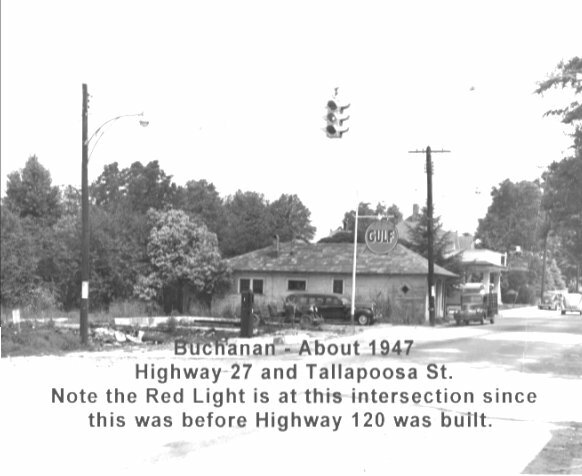 Buchanan is marked on a new map. In Buchanan's Haralson County, there are 2,069 farms, averaging 68.2 acres, with 66,009 toal improved acres. 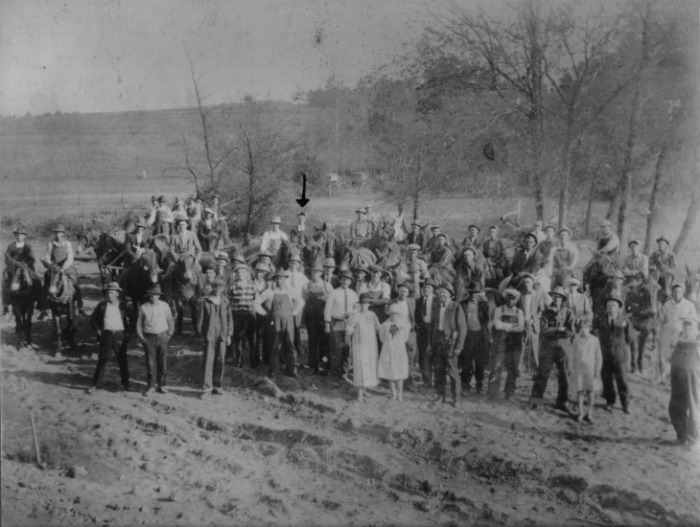 24,123 acres are planted in cotton and 20,483 in corn in 1919. Hay and forage accounted for 3,874 acres and wheat and oats combined, only 1,112 acres. 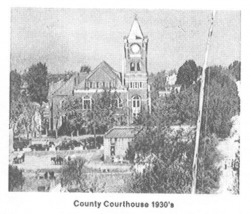 The four largest municipalities in the county - Tallapoosa 2,719; Bremen 917; Buchanan 491; Waco 333; total 4,460 souls - about 31% of the county population of 14,440. Depending on how many farms lie within the towns, there are between 5 and 7 residents on the average farm. 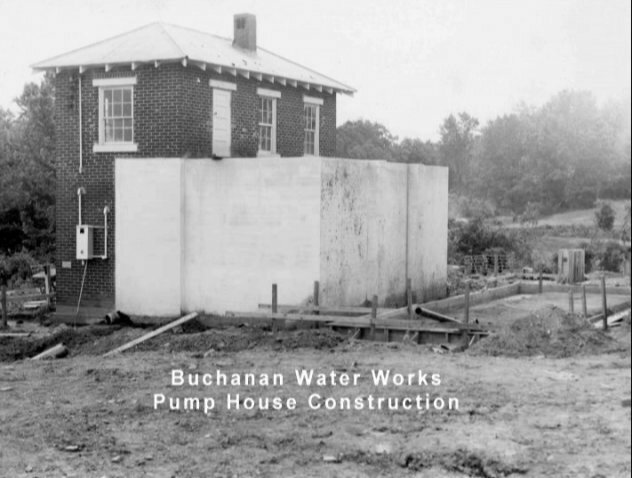 Buchanan pop. 491. 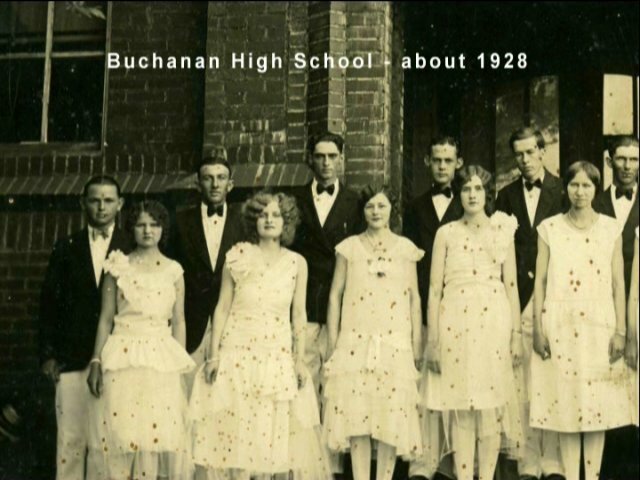 Buchanan High School becomes first such "accredited" school in the county. Its first building, a wooden structure, burns this decade and is replaced by a brick building, shown in a photograph from the early 1920s (below). 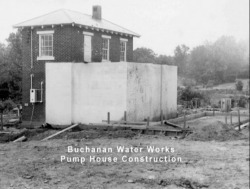 Photograph of Buchanan's first telephone switchboard (Ruby Gray, operator). 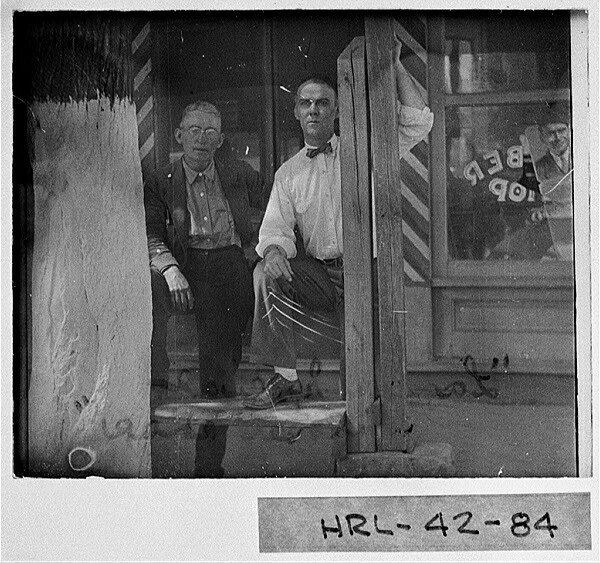 Photograph of Ben Davis in front of his barber shop. .
Central of Georgia RR plans to build new overhead bridge at the Van Wert Street crossing; will be only 20 feet wide. Baseball legend Whitlow ("Whit") Wyatt temporarily retires to 700-acre Buchanan farm. Flatwoods, Tallapoosa East, and Mount Vernon schools merged with Buchanan High School, as part of school consolidation enabled by bussing of students. 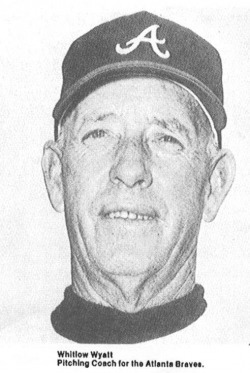 Baseball legend "Whit" Wyatt retires as player; later coaches. 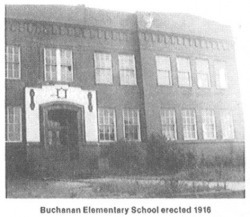 Bremen school system becomes independent and about 200 country students previously transported there are reassigned to the Buchanan school. Old Army barracks are used to provided added space. City Square contains 2 grocery stores, 2 dry-goods stores, and 1 bank. Also in City is a hardware store. 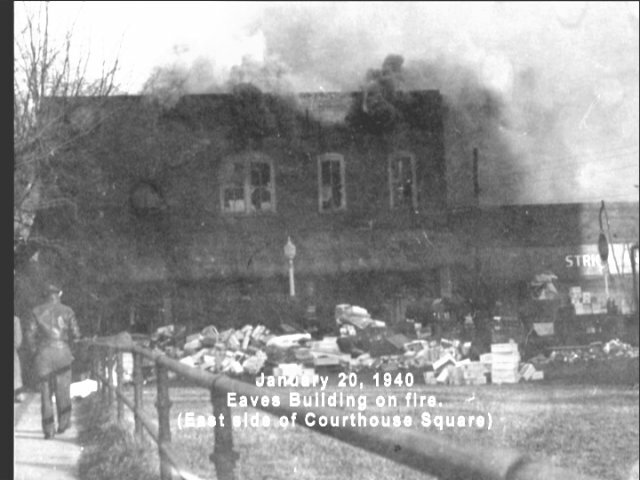 David Eaves and Hardy McCalman begin work toward attracting what would become a large factory making shirts. Cluett, Peabody and Company open a shirt plant in Buchanan, producing products for Arrow Shirts. 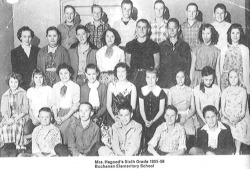 The photograph below shows the staff from 1959. 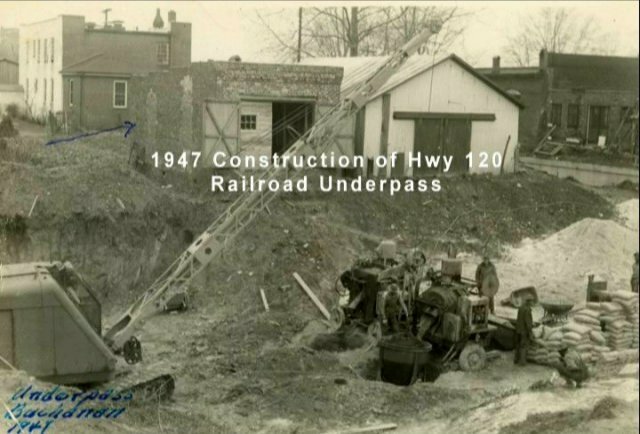 Route 120 reaches the city and the railroad underpass (pictured below) is built. 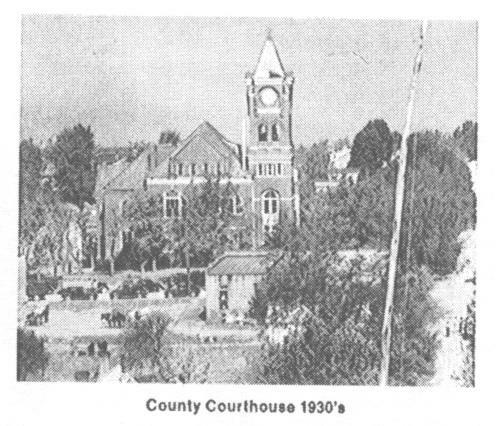 This is also the year the Haralson County Hospital (public, non-profit; pictured below) is built on Depot Street. Pictured below, the western side of the square featured the Dr. Sanford properties beginning this year. A new 25yo lawyer starts practicing at the courthouse: Thomas B. Murphy. He'll one day serve as Georgia's House Speaker over a quarter century. 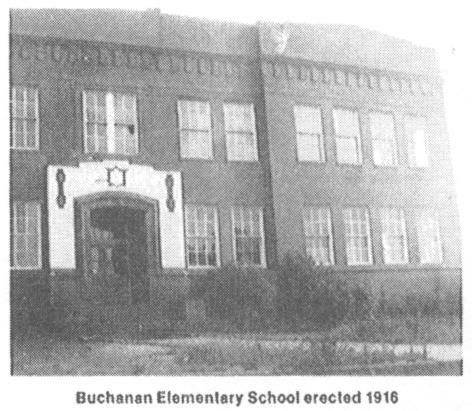 State School Building Authority finances Buchanan [?] School with 21 instructional rooms; est. 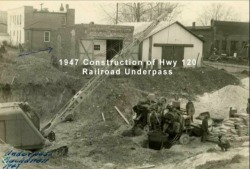 construction cost of $281,288. 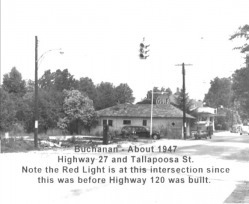 The Buchanan cotton market closed at 40.10 [cents per pound] on the 19th reports The Haralson County Tribune. A newspaper subscription costs $2 annually in-county and $2.50 outside. 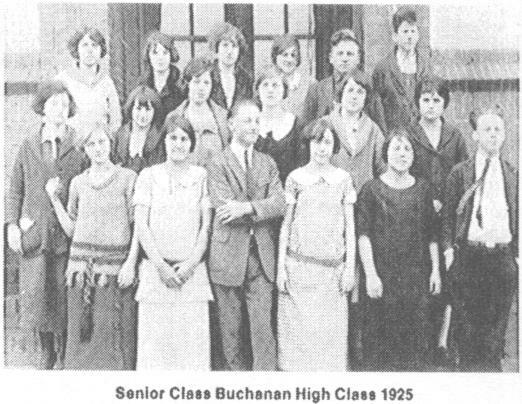 This month the paper reports that Buchanan Chief of Police Harris Williamson has been suspended from the force pending the outcome of his trial for the alleged shooting of Homer Marks, Buchanan citizen and one time member of the Buchanan force... Marks, who was shot in the abdomen... says that Chief Williamson came to his home after midnight asking him to go with him to arrest some men that were giving trouble. Marks says that he got in the car with the Chief who drove out the Dallas highway to the intersection of the road leading to the Haralson County Hospital and when they got out of the car Williamson pulled his gun and fired at him. Church of God moves to northern Buchanan. Church of God rebuilt after fire of previous year. 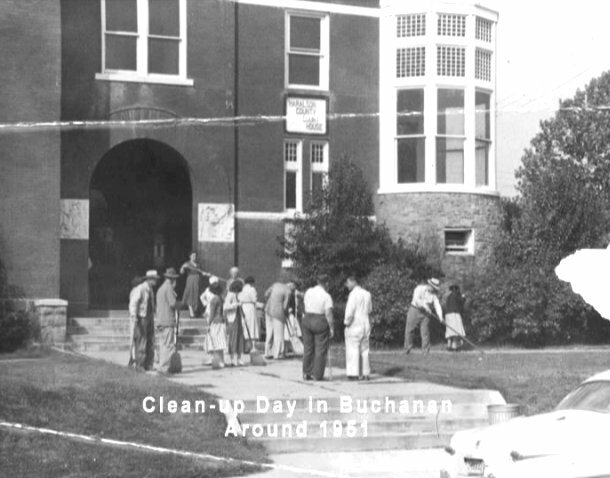 The earliest surviving motion pictures of the City are made: Harold Jeffers shoots Buchanan on Parade - Part I. 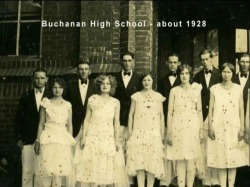 It includes the only movie images of the second (brick) Buchanan High School before it was destroyed by fire. Sugar costs 49 cents for 5 lbs.